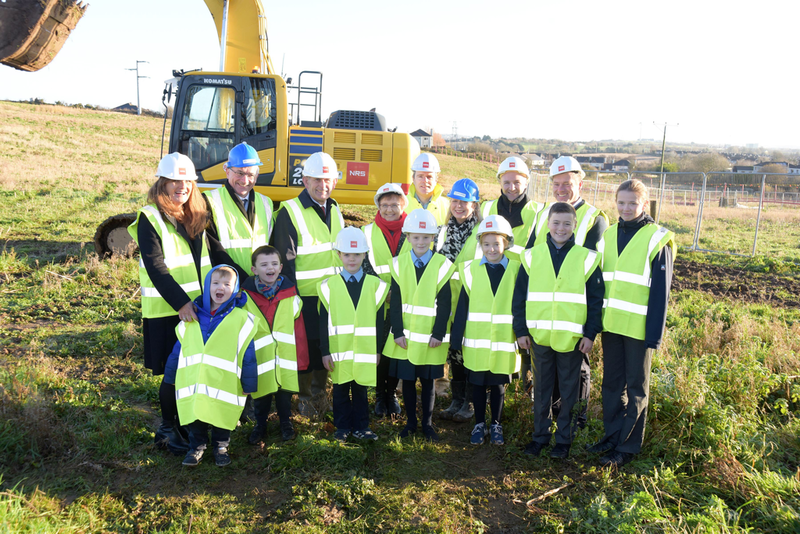 Tuesday November 28th, 2017, was a very historic day for Sonas- enabling works for the development of the long-awaited new school began. Sonas Special Junior Primary School will be one of three schools to be built on the Ardnacloghy campus in Carrigaline at a cost of €20 million. The campus will also include a Gaelcholáiste Charraig Uí Laighin and Gaelscoil Charraig Uí Laighin. The tender competition for the appointment of contractors to carry out the main building contract is currently being undertaken and plans are to commence the main phase of works in April 2018 with an expected completion date of December 2019. 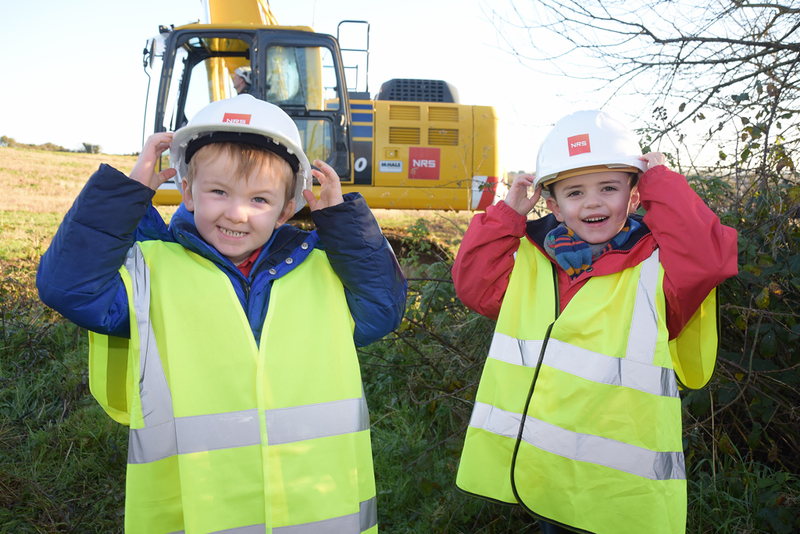 Present at the site on this important day on behalf of Sonas were Bairbre Doyle (Principal), Eimear Ahern (Teacher in Silver Class) and two of Eimear's students Conor Buckley and Daniel Hurley who both donned the hard hats and high viz jackets necessary to take part in making sure this important work got started! We will all be very excited when this beautiful new school is completed for the children of Sonas.